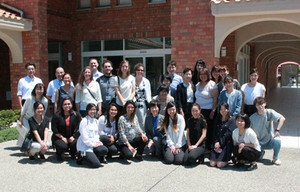 On June 5, ten nursing students and two faculty members from SMU arrived at SCU campus. 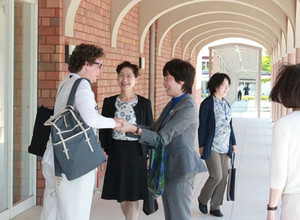 SCU faculty members together with students who visited SMU in March welcomed them. 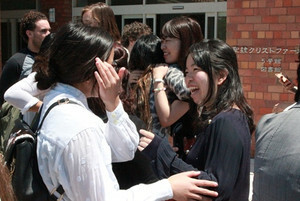 They are so happy to see each other again!. In front of Seirei History Museum(building 5), we took a photo all together. The kickoff meeting is an orientation of the program. 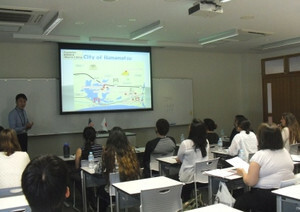 They learned the details of the schedule as well as the city of Hamamatsu. 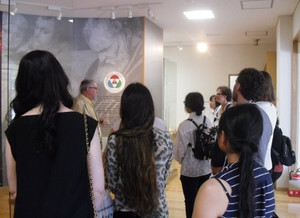 During the campus tour, they visited the Seirei history museum and the training rooms of the 3 schools. 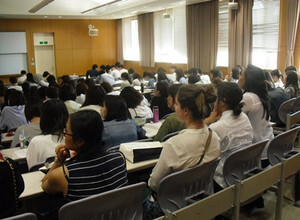 SMU students also experienced the lecture of Gerontrogical nursing with 160 SCU students at a big lecture room. They were surprised at the size of the class. 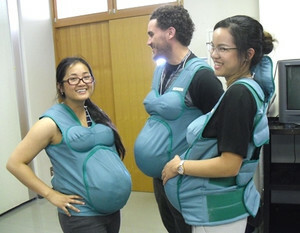 In the maternal nursing practice room, they wore a pregnancy suit in order to experience how a pregnant woman feels.